with additional dates through March. 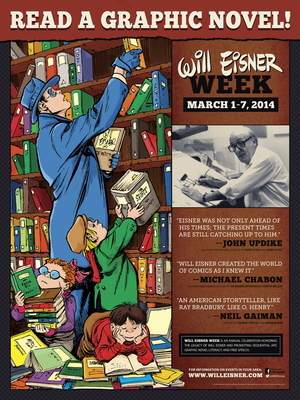 At Henderson State University at the Huie Library - "The International Appeal of Will Eisner." 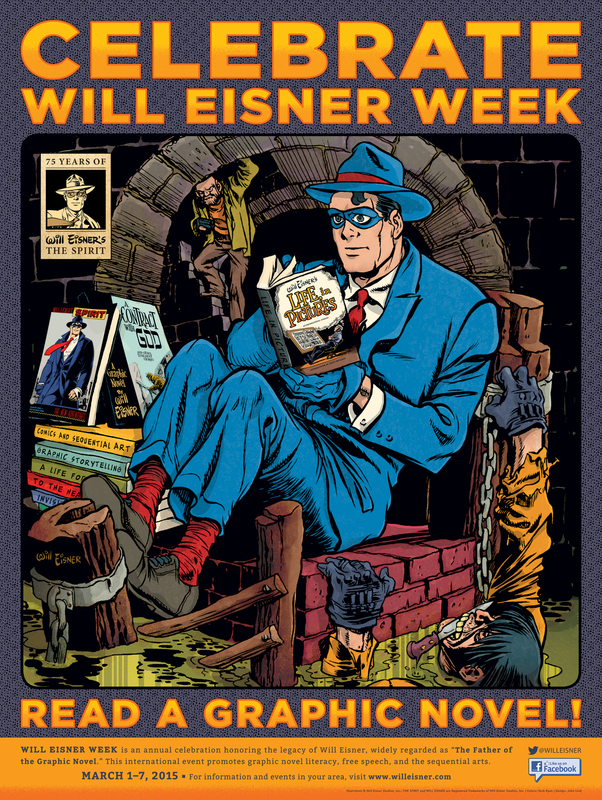 At the Million Year Picnic - A Sale on Will Eisner's books! 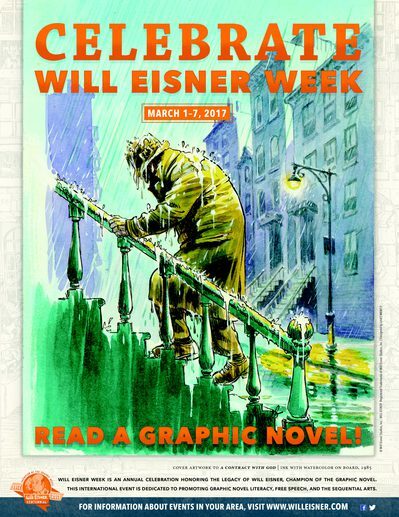 Celebrate Will Eisner Week 2014! Ilan Stavans, Lewis-Sebring Professor of Latin American and Latino Culture at Amherst College, will talk about his new graphic novel, El Iluminado. The Comics Arts Club, under the direction of Professor Randy Duncan, will study Eisner's work during HSU's Immigrant Experience Focus Week. 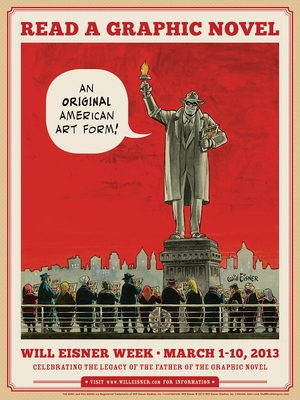 Screening of Will Eisner: Portrait of a Sequential Artist at the Tufts Experimental College, followed by a panel discussion including A. David Lewis, Stephen Weiner, and Chuck Henebry. 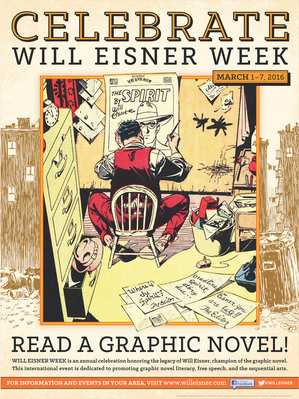 A special meeting of CAPS, The Comic Art Professional Society, devoted to Will Eisner and hosted by Scott! Shaw. 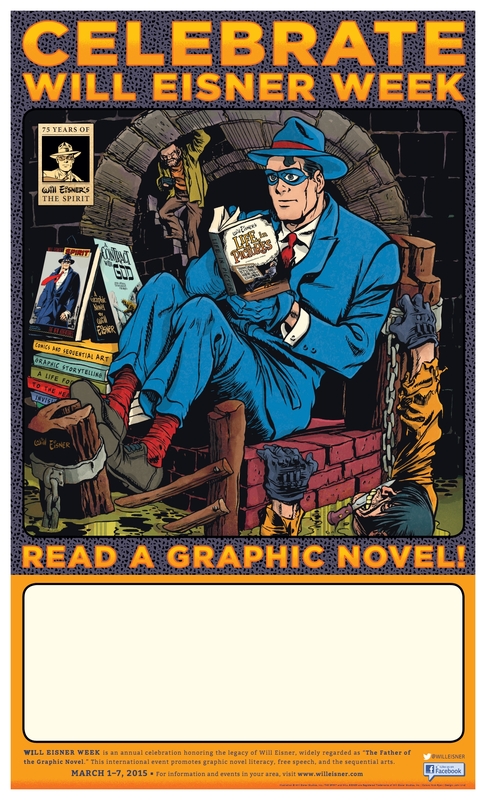 A Graphic Novel Read-In at the MCAD Library, including a screening of Will Eisner: Portrait of a Sequential Artist. 2 West 13th Street, Room 1104. 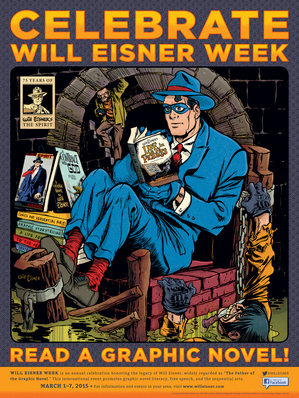 Various celebratory events during Will Eisner Week including a screening of the feature length documentary Will Eisner:Portrait of a Sequential Artist by Andrew and Jon Cooke. 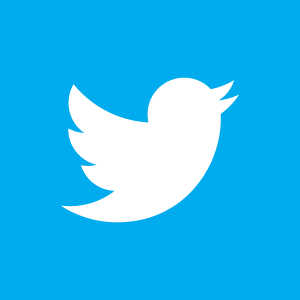 March 6th at 7:30 PM. If you're in Portland, don't miss this! A Reading of Eisner's Last Day in Vietnam with Brian Bendis, Matt Fraction, Dylan Meconis, Kelly Sue DeConnick and Michael Oeming. An Evening With Mario Hernandez, co-creator of Love and Rockets, with Museum curator Andrew Farago, including a discussion of Eisner's influences. 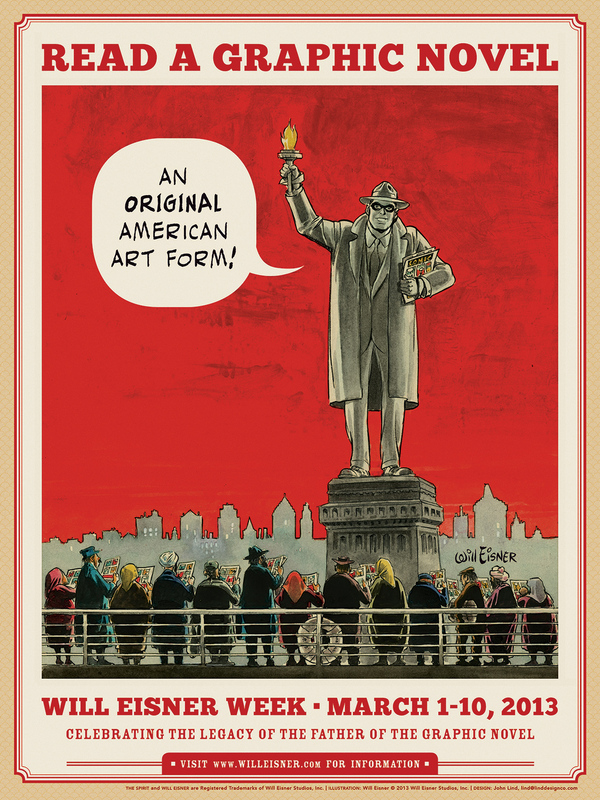 Multiple events run by Professor David Duncan, including a screening of Will Eisner: Portrait of a Sequential Artist and Eisner-themed Art Shows and Sessions. All Events at Norris Hall.